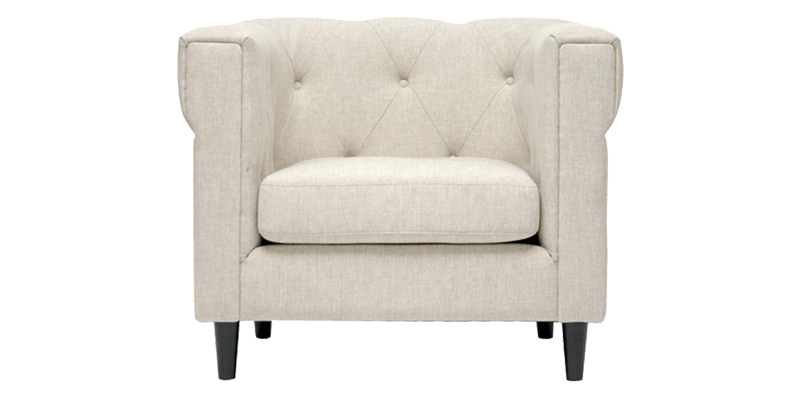 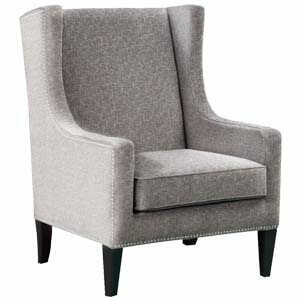 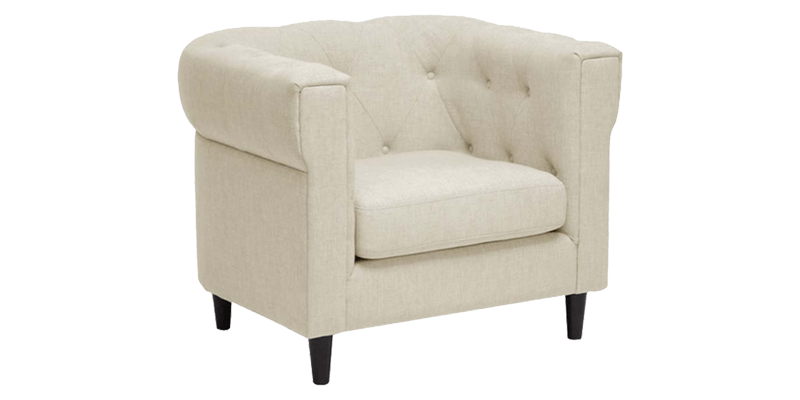 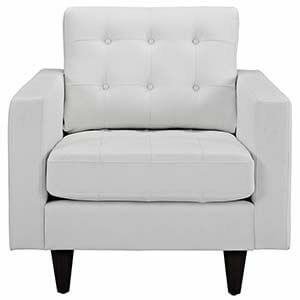 A transitional white upholstered accent chair to match your chic homes. 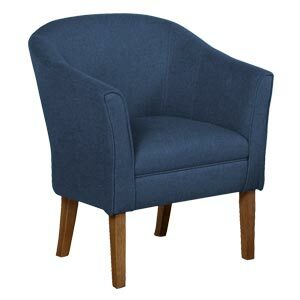 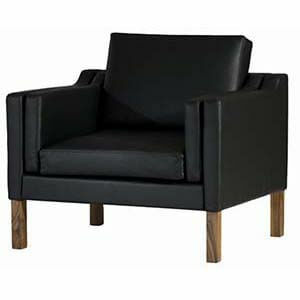 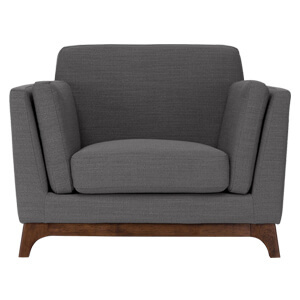 Its barrel back style makes it an ideal spot for you to sink in and relax. 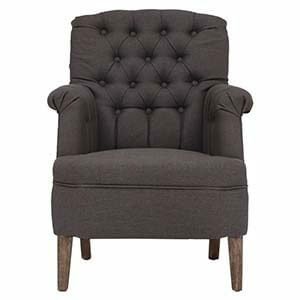 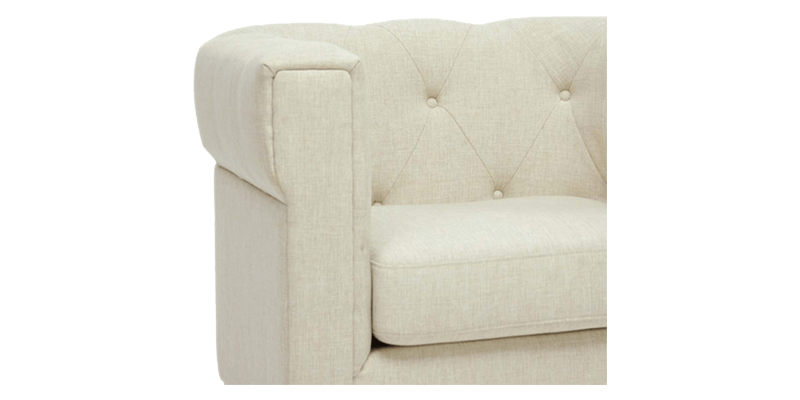 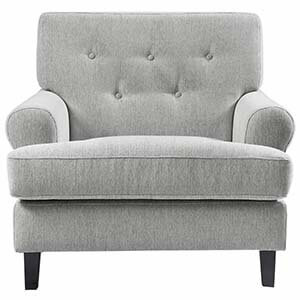 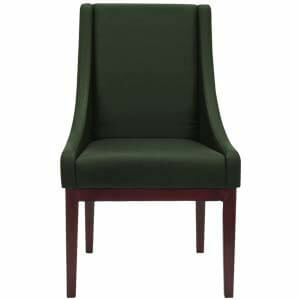 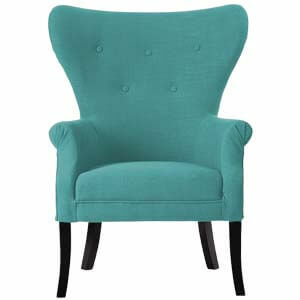 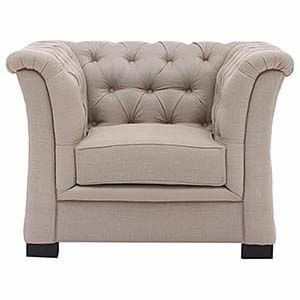 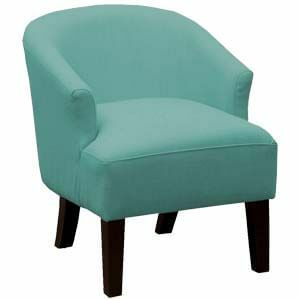 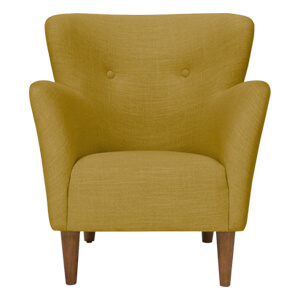 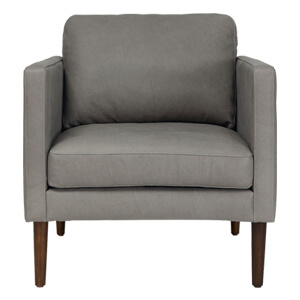 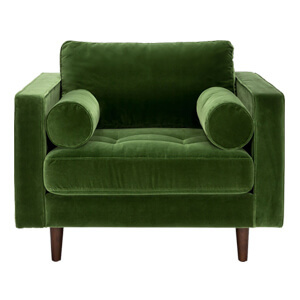 The button tufting at the back and rolled arms style lends it a sophisticated look. 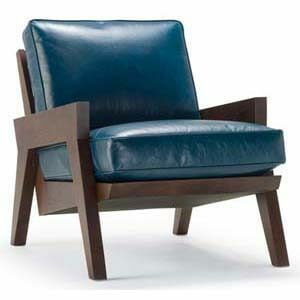 Handcrafted with care, it is a blend of durability and style.